Remember the fun of sand art? This fun classic craft is the perfect activity to create a unique room decor piece - completely made by you! 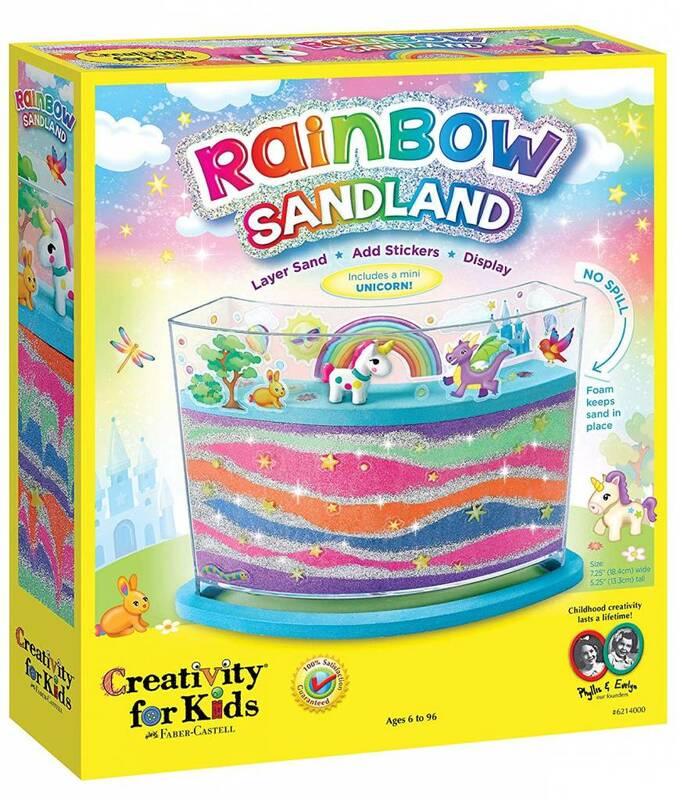 The Rainbow sand land sand art kit comes with everything needed to create a custom designed sand art piece. 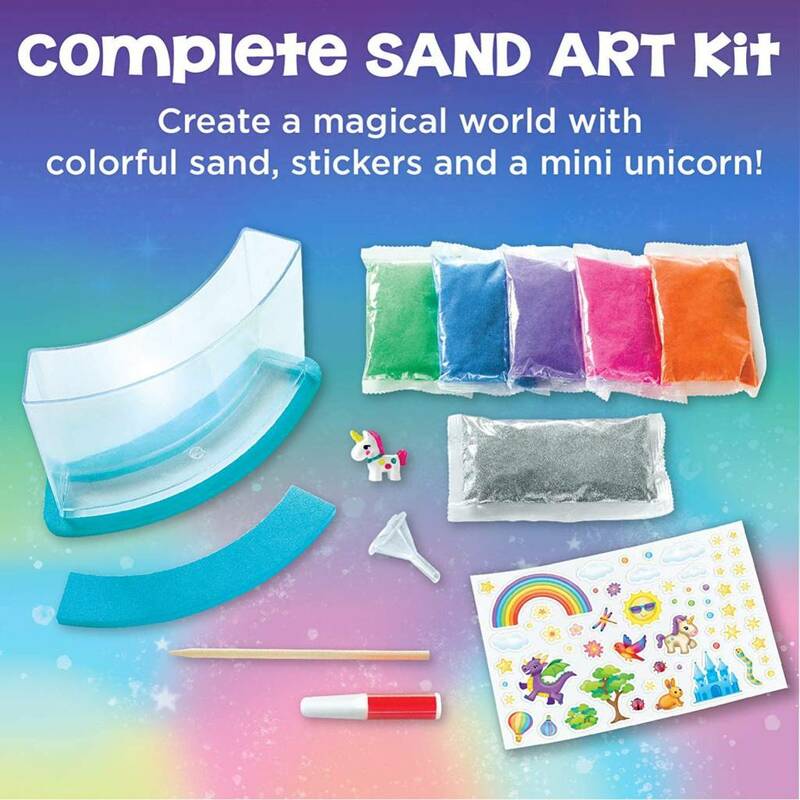 Perfect to give as a gift or to create on your own - this sand art set features vibrant colored sand (5 colors), glitter, wooden design tool, clear window frame, stickers, funnel, craft glue, clear window frame and mini unicorn figurine. 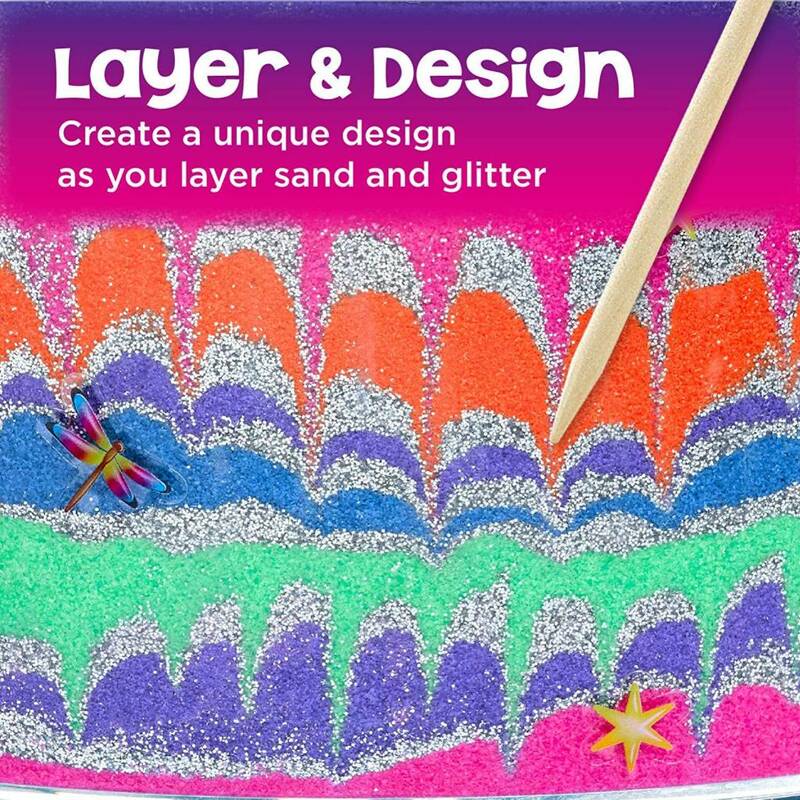 Combine colorful sand and glitter to create a design that's unique to you! 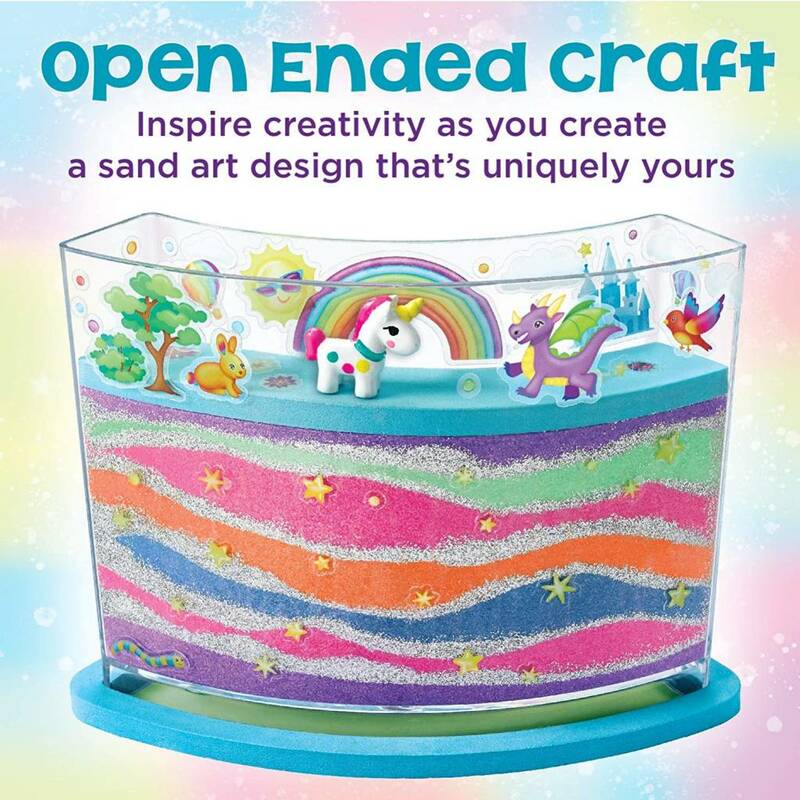 Use the included sand art tool to create cool effects within your sand layers. Less mess, more fun! 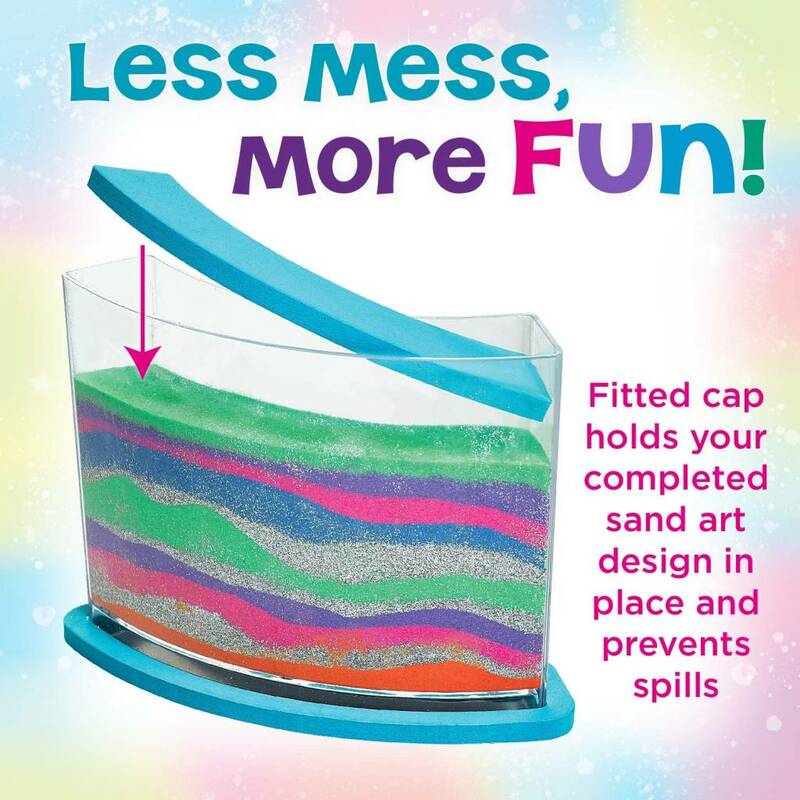 This sand art kit features a fitted cap and glue to keep your sand art in place and prevent spills. For best results, display your sand land on a flat surface to keep your design looking great! Tipping or shaking may cause the layers to shift. 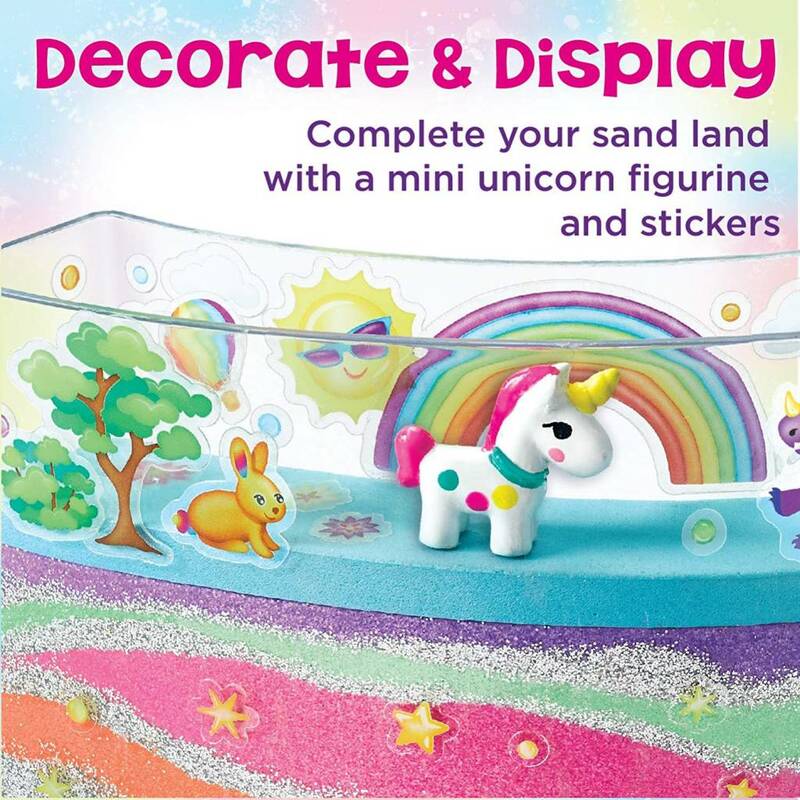 Once your sand layers have been completed, decorate and display your sand land with playful stickers and an adorable mini unicorn. Inspire creativity in your child with Arts and crafts Designed to encourage self-expression and creative thinking. Creativity for Kids proudly creates craft kits that are non-toxic and kid-friendly. 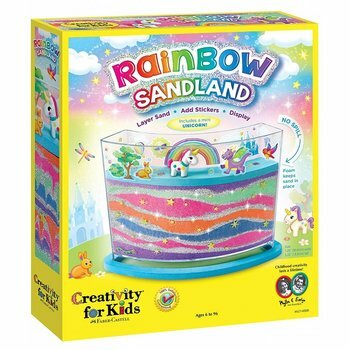 Creativity for Kids Rainbow sand land art activity kit is recommended for ages 6 - 96.